Hospitals and other healthcare facilities can bring about anxiety and stress, and the size of the facility itself can be overwhelming to visitors. Presenting timely and relevant information is one of the easiest ways to alleviate stress and inspire independence, and digital signage does just that. Reduce your printing costs, tailor your content to suit your ever-changing needs, and create an informational and fun way of keeping patients, visitors, and employees engaged. 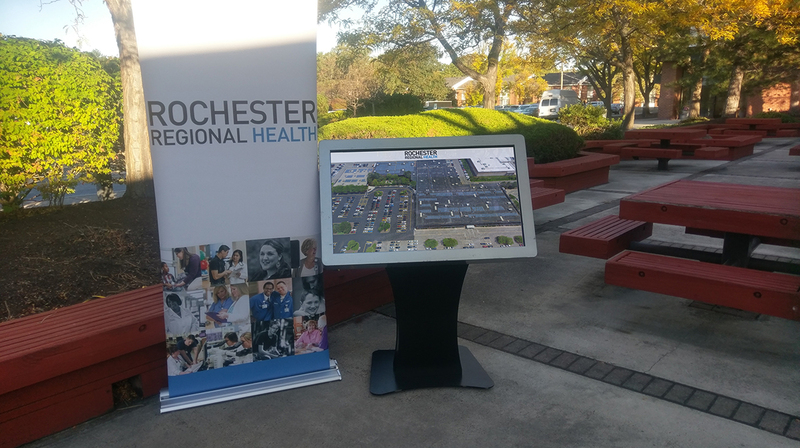 Interactive displays and kiosks are a great way to make people feel comfortable while they find the information they need. Feature health and safety facts and tips, information about events and relevant news, weather, news feeds and so much more. With the ability to incorporate a queuing system, allow patients to check in and schedule future appointments. 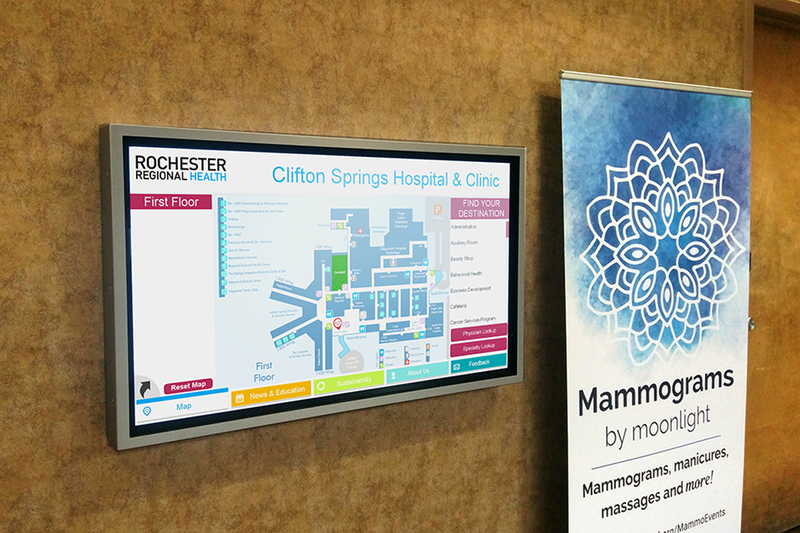 Add 2D or 3D interactive wayfinding into the mix and free up your staff while your patients and visitors have a one stop shop for everything they need. All displays are CUSTOMIZABLE and can be installed in many forms, including upright kiosks, custom pedestals, or wall-mounted. We can also design your system to be ADA compliant. 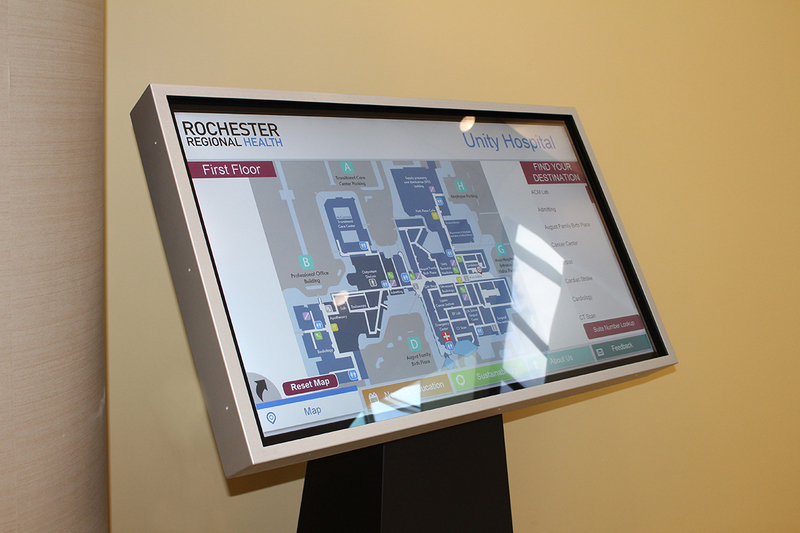 With a touchscreen display, we always provide an antibacterial cleaning spray because we understand how crucial health and sanitation are in a healthcare facility. Alleviate stress and avoid confusion by allowing guests and visitors to navigate and access detailed directions around your facility with the touch of a finger. 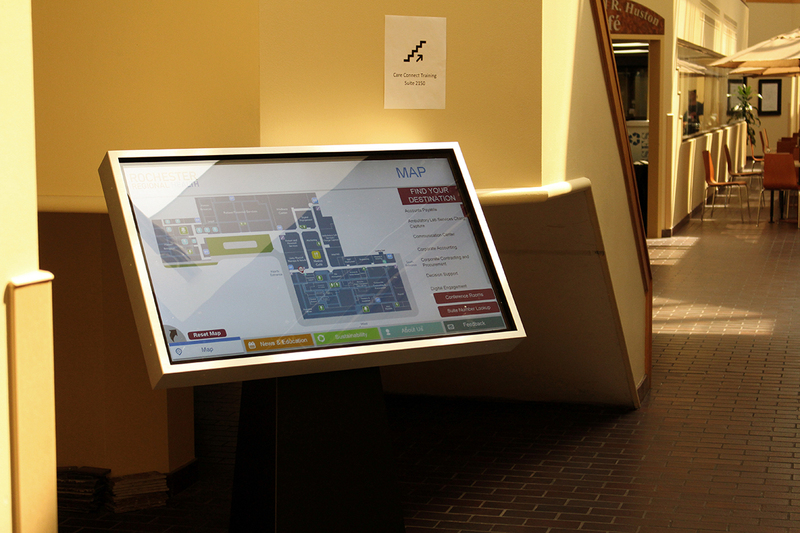 Employees have an accessible tool for providing direction while visitors can independently navigate to their destination. Show the right message at the right time to the right people. Strategically place screens and displays in waiting rooms, patient rooms, and break rooms to show different messages to different audiences. 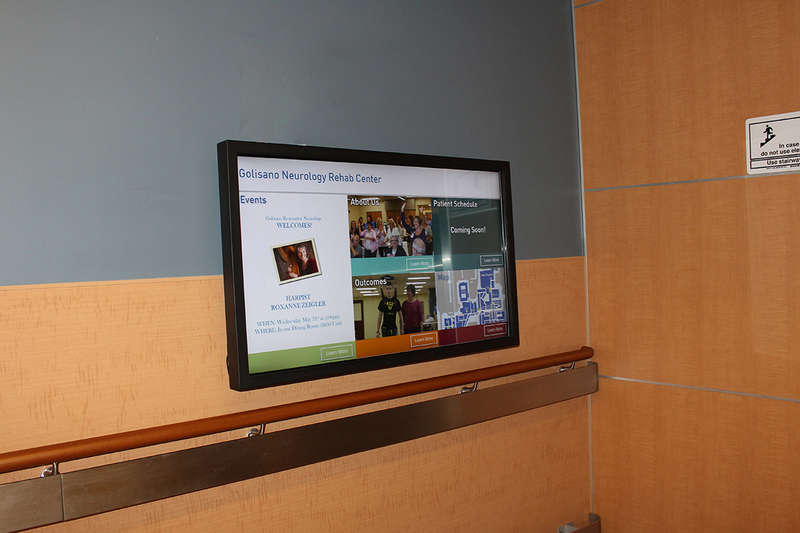 With the ability to schedule content, integrate a calendar, and make updates remotely, digital signage is the most convenient and practical choice when it comes to marketing and informing within your facility. Click here for your FREE digital signage consultation.